State Representative Dan Swanson announced today that the Kewanee Community Fire Protection District will receive $24,375.00 in a Small Equipment Grant for fire protection districts. 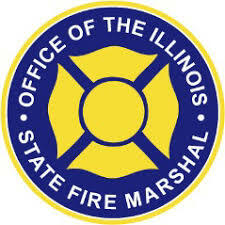 The grant is being distributed through Illinois’ Office of the State Fire Marshal (OSFM). The funds were awarded to Kewanee Community Fire Protection District for helmets, boots, and personal protective gear. According to Swanson, more than 100 departments statewide are taking a share of $2.2 million in grant funds. “These grants provide much-needed funding to help our fire districts purchase or replace necessary equipment,” said Swanson. “The Kewanee Community Fire Protection District has been a good steward of taxpayer dollars and will put these funds to good use in protecting their community.” The OSFM Small Equipment Grant Program was established to provide grants up to $26,000 for the purchase of small firefighting and ambulance equipment at fire departments and not-for-profit ambulance services across Illinois.